Available in various shapes and sizes, these smooth cast plaster drape molds allow you to form bowls or halves of hollow shapes evenly. 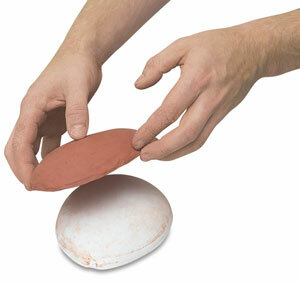 Simply lay a clay slab over the form and allow the clay to dry. Large: 10¾" × 7½" × 1"
Small: 9½" × 4½" × 1½"
Hump: 7¼" × 5¼" × 1½"